This is an Insomniart and Comic Twart double feature. 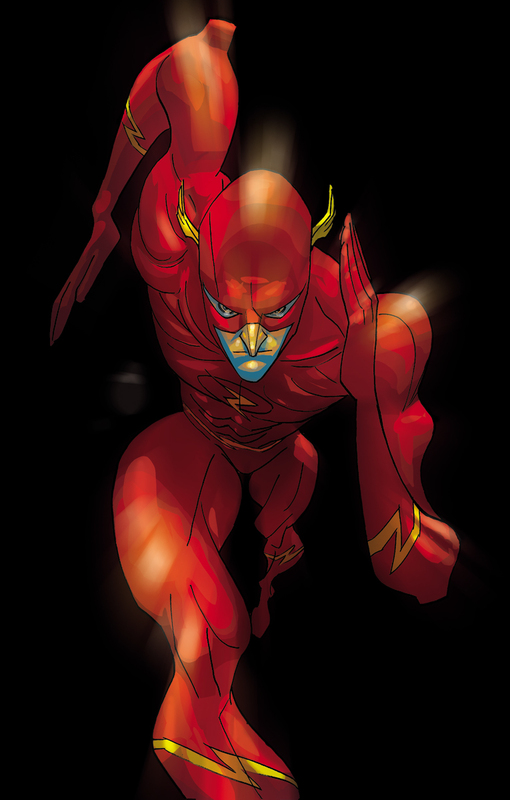 The Flash, whom I do not think I've ever drawn before. Amazing sense of velocity! Great job! That is how the Flash should be. Fast, angular, speed....great sense of movement despite being a straight on shot. I feel like if a guy can move THAT fast his body would look all weird and distorted while in movement. Actually, I had a version that was FAR more distorted but toned it down cause I thought people wouldn't get it.